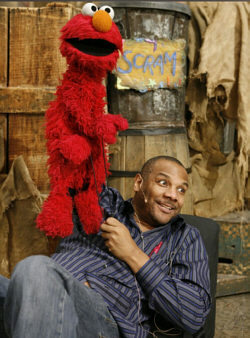 One of the biggest flicks to come out of this year’s Sundance Film Festival was Being Elmo, a documentary about puppeteer Kevin Clash and his rise to stardom as the Sesame Street character Elmo. The film will have a limited run in early October and will open wider as the word of mouth grows. Combining amazing archival footage with material from the present day, filmmaker Constance Marks explores Kevin’s story in vivid detail and chronicles the meteoric rise of Jim Henson in the process. Narrated by Whoopi Goldberg and including interviews with Frank Oz, Rosie O’Donnell, Cheryl Henson, Joan Ganz Cooney and others, this insightful and personal documentary offers up a rare, behind-the-scenes look at Sesame Street and the Jim Henson legacy. Comments for Sundance Smash “Being Elmo” Hits Theaters In October are now closed.